Children. 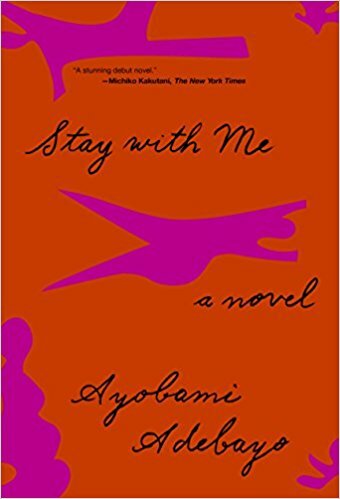 The emotional range of the characters presented in Ayobami Adebayo's debut novel titled, Stay with Me, will penetrate the defenses of the hardest hearted reader. There are losses and joys that reach the depths and heights of human experience. The centrality of children to the narrative will make this novel an ideal choice for a book club comprised of parents. The power of cultural expectations can be overwhelming, and Adebayo draws us into Nigeria and the expectations of that culture on those who live there. Fans of literary fiction are those readers most likely to enjoy reading this finely written novel. Rating: Four-star (I like it) Click here to purchase Stay with Me from amazon.com.